We are proud to announce that as of this morning at 10:04 am central time we took back publishing writes for Harbinger from Publish America. 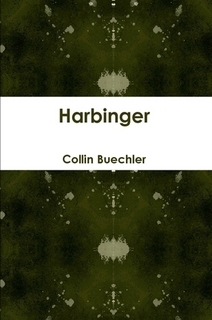 As of 1:30 pm Central time Harbinger is available in multiple formats at our Lulu bookstore. Major distribution of the print version is awaiting approval on the print editions. 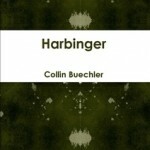 Harbinger, as I have been told by those who have read it, is one of the scariest stories they have read. “Truly creepy and unsettling,” was the description provided by our eldest whelp, who refuses to finish reading it because it is too scary. This is high praise indeed as he is a fan of the horror genre.